As you fill out your Prudential Financial application, realize that you’re joining a family forty-eight thousand strong that strives to help as many clients as they can to make smart financial decisions. Links for apply for jobs at Prudential Financial are at the bottom of the page. 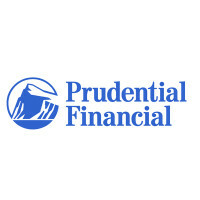 Prudential Financial was founded in Newark, New Jersey in 1875 by John Dryden. Originally, the company only sold burial insurance, but turned their attention to industrial life insurance, which sent salesmen door-to-door in urban areas to sell life insurance at a high price to factory workers. After a 1907 law in Massachusetts, Prudential Financial evolved to sell more financial assistance and insurance to their customers. Since 1981, Prudential Financial has expanded their financial side and sold off some of their more diverse subsidiaries including their healthcare division. They started by purchasing Bache & Co., which worked with stocks in 1981; then bought American Skandia, who was a large distributer in variable annuities in 2003; and in 2004, the company purchased the retirement business of the CIGNA Corporation. This company works with financials and offers various forms of insurance, usually life insurance in some form. Prudential Financial also works with people on their retirements, real estates, annuities, and mutual funds. Besides working with general individual clients, the company works with several corporate clients. At the corporate level, you’ll usually be working out of company headquarters in Newark, New Jersey. Most Prudential Financial jobs are geared towards making sure that everything within the company is working smoothly and offices are working appropriately. Locally, you’ll work with clients to give them the best information that you can to make sure they get the right financial assistance for their needs. Other people with Prudential Financial careers at the local level are there to support the people that are fulfilling the main objective of the company. How old do you have to be to work at Prudential Financial? Age requirements vary by position. However, as you browse Prudential Financial jobs online, make sure to read all job requirements closely as some positions need various experiences, degrees, or certifications. People with Prudential Financial jobs get several benefits which include: a retirement plan, a 401K, paid time off, dental/vision/medical insurance, and reduced fees with other companies for your lifestyle. For employees with big work or life responsibilities, the company offers alternative work arrangements and other benefits to help with that. Associate Actuary – By working with people that are looking ahead for retirement, you’ll strive to give them the best advice you can off of the information that you have. You will work specifically with clients that are getting the Defined Benefits package. Compensation is around $90,000 a year. Director, Actuary – You could do any work as a Senior Associate of the Actuary Department, working with annuities, audits, corporate insurance, group insurance, or individual life insurance, among other. Compensation is around $120,000 a year. Experienced Financial Professional – Getting new customers is a key part of this position as you work with them to sell the insurance and investments that they want. You’ll also work with older clients to make sure that their investments are being maintained. Compensation is around $65,000 a year. Investment Associate – You’ll work to make sure that the acquisitions and divestiture is doing what they should with all of the company’s businesses, including asset and insurance management both in the United States and abroad. Compensation is around $40,000 a year. Manager, Financial Associate – Selecting new and maintaining old Financial Professional Associates is what this position is about. You’ll work to train the new employees and coach any older Financial Professional Associates to make sure that they’re doing the best jobs that they can. Compensation is around $45,000 a year. Why do you want to work for Prudential Financial? This is an extremely common interview question, so you should be prepared for it. Talk about what drew you to the company, whether it was the culture or benefits, and why it’s your first choice in places to work. What experience do you have? Highlight all of your relevant experience. If you’ve worked in insurance, talk about it and what experience from that position you can bring to the one you’re applying for. Make sure to use examples to enhance and support any claims you make. Where do you see yourself in the next few years? Your interviewer wants to know if you see yourself with the company. Be realistic in your career expectations and talk about how you’re willing to take on extra challenges and responsibilities in order to move up in the company. As this company relies heavily on clients for business, you may be asked this question in the form of a hypothetical situation: How would you take care of an upset client? Be practical and realistic while you talk your interviewer through the steps you would take in order to turn the client’s experience around. How do you determine what advice you give to a client? Make sure to walk your interviewer through the steps you take to determine what plans and insurance a client should have. Be honest and try to go beyond the first plan you’d make with the client so that you show you’re planning for the future. How to apply for Prudential Financial online: search for the position that you’re interested in applying for. Once you’ve found it, make sure to read through all the position requirements closely before filling out your Prudential Financial application. There is no printable application for Prudential Financial. Before your interview, do research on Prudential Financial and the industry in order to create a list of questions that you can ask at your interview. They may seem excessive for an entry level position, but it will place you in front of the other candidates as it shows that you’re prepared and are thinking ahead. Dress professionally for your interview in a suit as it will be in a formal setting. Make sure, if you’re a woman, to have minimal jewelry in order to have a more professional look. Have a positive and friendly demeanor because it will give a good impression. Show gratitude at the opportunity to interview with Prudential Financial. After your interview, inquire about the best way to check on your hiring status as no applicants will learn if they get the job during their interview. Prudential Financial will want to screen all candidates before making a final decision on who they hire. CheckSmart: See this page for jobs at CheckSmart. Chase: Checkout the application page for work at Chase. Amscot: See our guide for careers at Amscot. UBS: Visit the job application for UBS to apply today. Vanguard: Visit the job application for Vanguard to apply today.